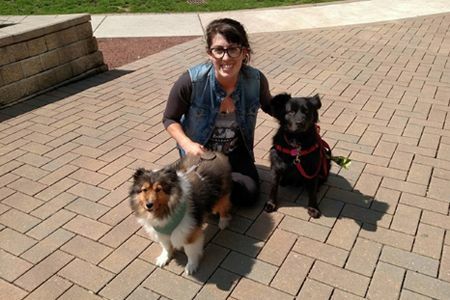 Windy City Dog Walkers has been building relationships through trust for over 15 years. Our caring walkers use positive reinforcement and motivate pups with their favorite rewards to teach, encourage, and build confidence through play. Our goal is to develop a strong and loyal bond with your pet to enrich their lives and provide the best care possible. Contact us today to set up a no cost initial consultation to discuss your pet care needs in detail and introduce you to one of our pet care professionals. Dogs are not the only ones who prefer consistent service. Our clients enjoy knowing who is walking their dog each day and building a relationship with their pet care professional. WCDW reduces stress and anxiety for both owners and their pets by providing a dependable daily dog walker and a consistent time frame for visits. Having the same walker every day also ensures that your walker will be knowledgeable about your pet and can quickly identify any health or safety concerns. Dog walking the way it was meant to be! Traversing city streets, chasing birds and following smells, your dog will have the freedom to explore with a walk specifically tailored to them. One on one care ensures your dog will get the highest quality pet care with attention to detail and a focus on their specific needs. Walking one client at a time allows us to bond with each individual dog for the benefit of training reinforcement and safety. We are happy to work with your dog on specific behaviors or design a visit that spoils them as much as possible. It is up to you! Life happens, so we prefer to offer a flexible cancellation policy. No charge cancellations can be made by phone, email, or text up to three hours before your walk time frame starts. We hope our cancellation policy helps reduce owner anxiety and makes the scheduling process quick and easy for clients. To make the scheduling process as simple as possible we offer two types of scheduling for clients. The "set it and forget it" regular schedule reoccurs each week to keep consistent service and eliminates the need to make schedule requests each week. We also offer a variable schedule week to week which allows those with changing needs to schedule walks as needed. With either schedule type you can add or cancel walks by phone, txt, or email at any time. By providing the same walker every day and only walking one dog at a time, WCDW is able to focus on your pets individual needs. Whether that is puppy training or working through a behavioral issue, our walkers are caring professionals who can provide the attention, care, and patience that every dog deserves. ﻿Contact us﻿ today to discuss your pets needs and we will help create a care plan that works best for you. What is the point of having a dog walker if they are not available when needed? At WCDW we have you covered. We do our very best to accommodate every request be it late, early, weekends, or holidays. If your regular walker is not available for a visit we will always have a manager handy to cover the walk. House sits and vacation care are also available for holidays. We leave a detailed note with the date and time at every visit but can also send live text updates and photos after every walk by request. When you can't be home with your dog yourself, what's better than a photo to brighten your day? Note and contact preferences will be discussed at the initial meet and greet and can be updated at any time.